LOVE how you changed him up, such a cute image and your hand drawn elements are perfect! Super cool! Love how you made that snowman image your own, Elena! Love it. Adorable card Elena!! 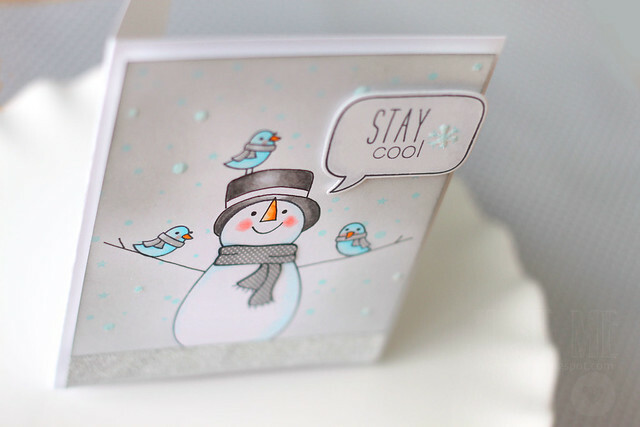 I love how you added your own special touch to that snowman stamp! Very "cool"! This is adorable, Elena! 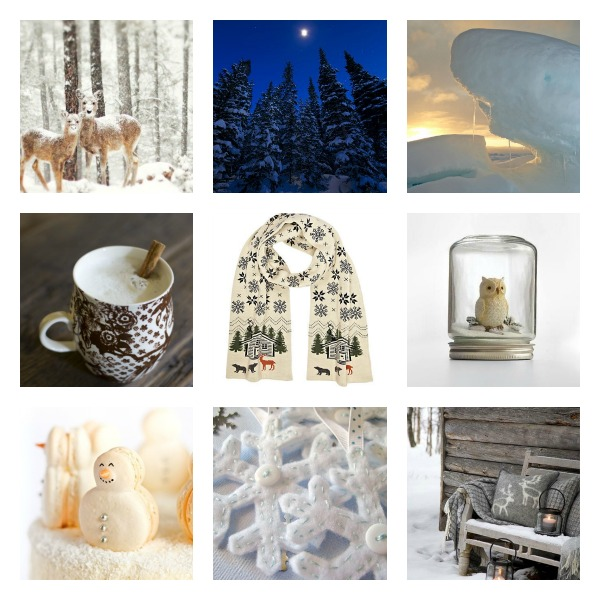 I love how you motified the snowman and the snowy background is perfect! LOOOOOOVE it!!!!!!!!! what an amazing way to stretch your stamps!! and the snowman you created IS AMAZING!! i love his extra long hands and upturned nose!! and that smiley face is so happy!!! it toally makes me smile!! <3 it!! not to mention those birds sitting on him! love this so much!! i could go on and on about the stunning team background you created and super fun custom sentiment and glitter...but you know all that! because you're a ROCK STAR!! <3 this!! Elena, you are a clever clever girl!! Love how you changed up the snowman image!!! SO ADORABLE! Love this! 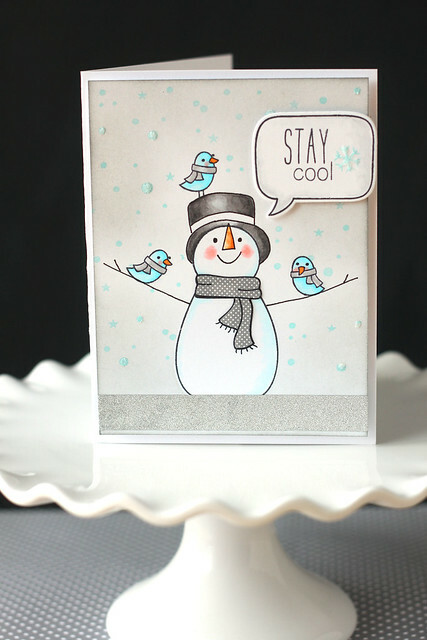 A gorgeous card Elena, I love how you altered you change the parts and created such an adorable, happy snowman!! Love this! 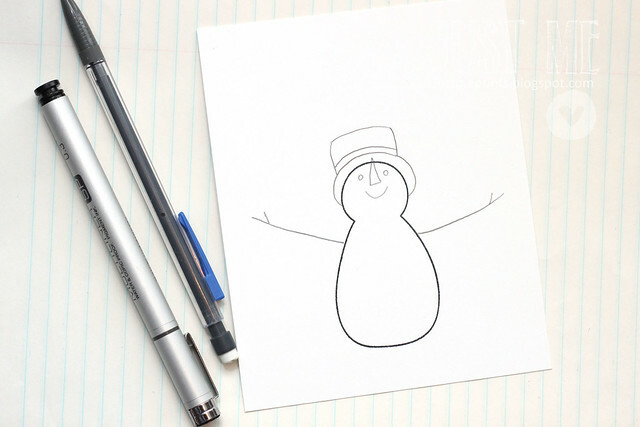 So creative to draw the snow mans arms! That glitter strip totally made it challenge worthy, lol! Oh my goodness this is brilliant and so crazy talented Elena! LOVE! 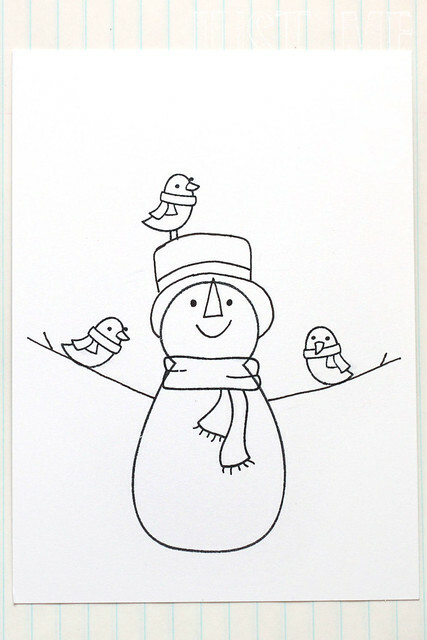 Elena, this card makes me smile - love your snowman and friends! Oh, this is fabulous, Elena! Fabulous card Elena, I just adore your snowman ! Love it Elena!!! So Genius!!! A-mazing! Love how you customized the snowman, he looks super cute! Also I'm always amazed about your color combos, it's perfect! I love your snowman. He really comes to life. I think it's just brilliant how you altered your snowman and gave him a whole new expression! Those little bluebirds just make me smile, and I love the polka dot scarf too! Well done! Adorable card and love how you stretched your stamp. Wow I just love how you altered the snowman...your sketching is amazing. You should seriously consider designing stamps! 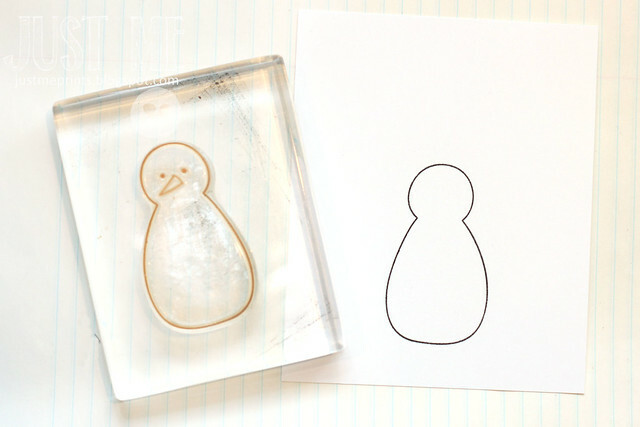 This is such a fun way to stretch your stamp. I love it.